A portion of the proceeds go to the Simon Paneak Museum in Anaktuvuk Pass, AK. 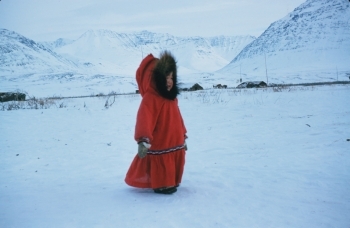 Read how Doc Gaede introduced Anna to the Nunamiut Eskimos in chapter 18 of Prescription for Adventure: Bush Pilot Doctor. No school building, tent or sod house available for teacherage, no roads to transport building supplies, no wood for fuel except willows, no airline service, no public services besides post office. Severe winters. This advertisement did not actually appear in print, but was adapted from a 1961 speech presented by Mr. Gruening, territorial senator, at an Alaska senate meeting where he described the dilemma Alaskan educators faced and the determination of the Native people to obtain an education. Mr. Gruening did say, "...the revelation of so many problems did not dampen the enthusiasm of the folks of the village (Anaktuvuk). 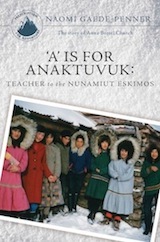 For they persuaded Anna Bortel, who had been head teacher at Tanana School, to teach them in their church. In Miss Bortel they had found the ideal teacher, one able to comprehend their problem, one kind and sympathetic, and above all one able to adjust to all conditions that might face her." 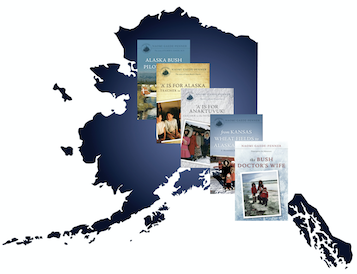 — 1961 Congressional Record-Senate, #13201 by Mr. Gruening, "A Unique American Educational Venture in Alaska's Far North"
This book takes place in Tanana, AK (1957-1960) and Anaktuvuk Pass, AK (1960-1962). Kevin G Smith's new mural at the school in Anaktuvuk Pass, Alaska uses photos from 'A' is for Anaktuvuk: Teacher to the Nunamiut Eskimos. The mural is titled "Nunamiut Hall of ELders" and was funded by the State of Alaska's % for Art Program.